Science is everywhere in the fall! The weather is cooler and it’s a great time for little scientists to get out and explore the world around them. We were excited to get our first pumpkins of the fall pumpkins a couple of weeks ago and decided to use them for some scientific investigations! 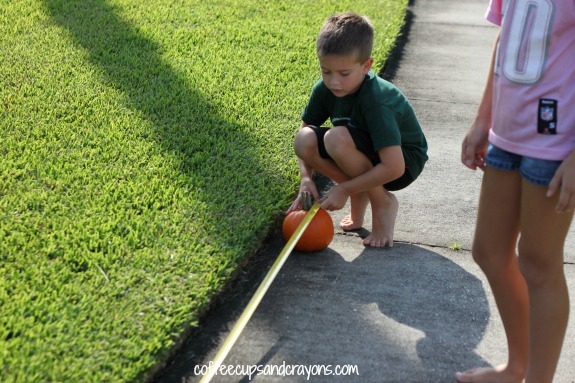 I made the kids a printable to use to record their predictions and estimations about the different properties of the pumpkin and then we tested to see if they were right. 1. Does it sink or float? 2. How many pumpkins high are you? 3. How far will it roll? 4. How much does it weigh? 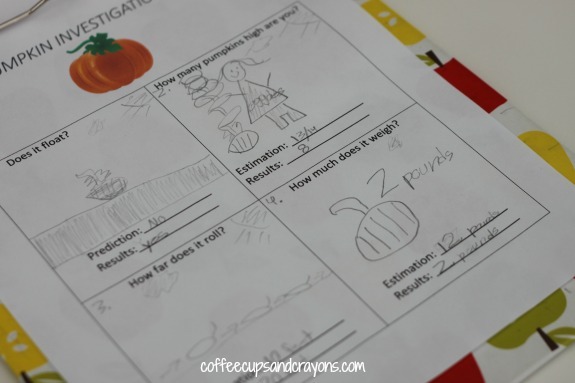 Each time we tested a pumpkin property the kids recorded their observations on their investigation sheet. Making predictions and estimating the answers gets kids actively involved in the learning and makes it easier for their brains to retain and comprehend new information. It’s a good problem solving skill to practice whenever you can. 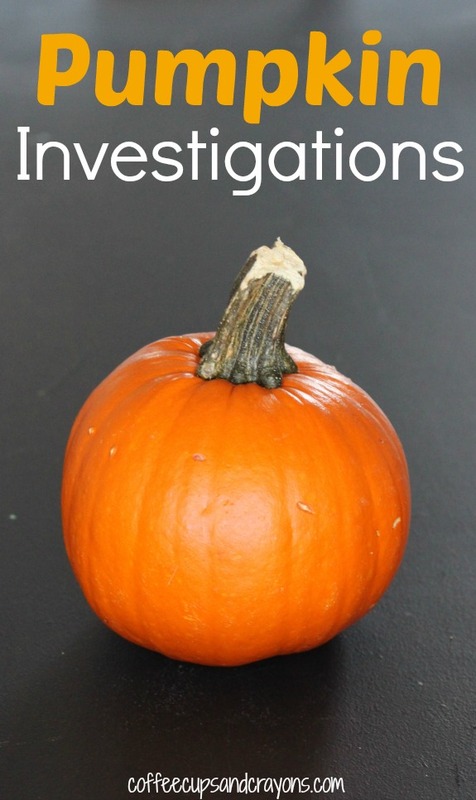 We had so much fun with our pumpkin investigations and think you will too! If you want to try this with your kids or class here is a free printable that you can print out and use. You can print as many copies as you want for personal use, but cannot upload the form to your site or blog. 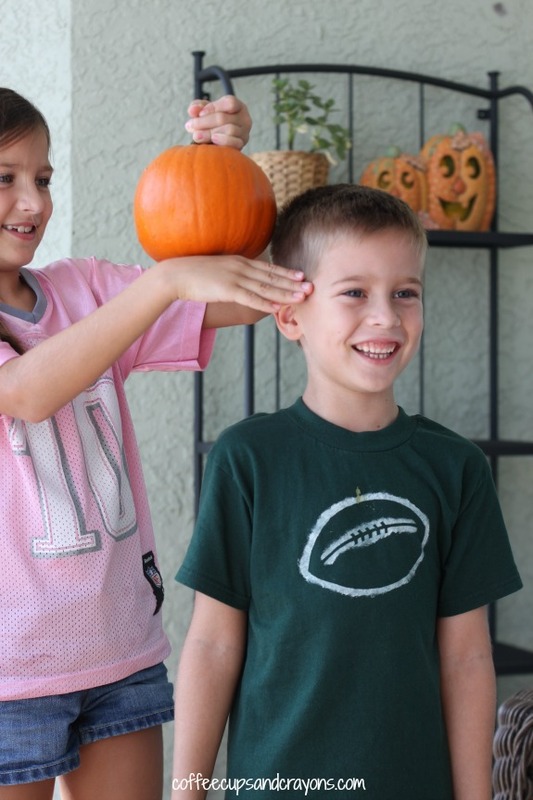 Lots of people have been playing and learning with pumpkins lately! These are great explorations. We try to do something similar each year! I love these activities. We are going to try them tonight. I already have a pile of pumpkins on my porch! I really like the writing component too as I’ve been trying to get my son to write more. I think this will be very motivating! Thanks for featuring me too. 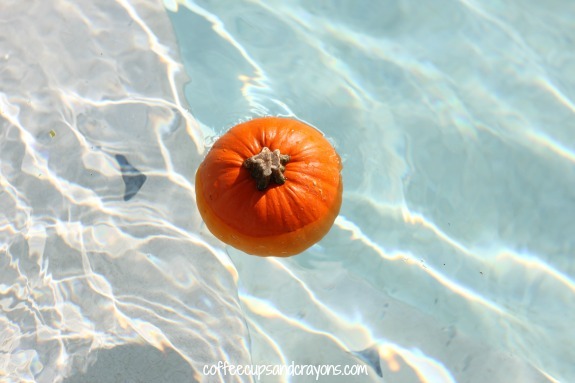 You can have him throw the pumpkin too if you don’t mind losing a pumpkin! That one is very motivating!!! Thank you for sharing our pumpkin gardening project! It is super cool Deirdre! I love this pumpkin investigation activity, especially the question, “How many pumpkins are you?” Thanks for sharing with Afterschool! I love how you used something you’ve got around the house for some creative learning!